What Should You Know About Menopause Symptoms? When a woman does not have a menstrual period for more than 12 consecutive months, she is said to be in menopause. By the time a woman reaches this stage in her life, her ovaries have stopped producing eggs and she is no longer fertile. Most women have their last period at about 51 years old. The cessation of periods and the loss of fertility that accompany natural menopause are not in themselves troubling for most women. By the time menstruation stops, the majority of women have raised their children, and not having to worry about monthly periods can actually be quite liberating. Unfortunately, menopause is also associated with numerous troubling symptoms, which persist for years in some cases. These symptoms are thought to be caused by changes in the body’s progesterone, testosterone, and estrogen levels. 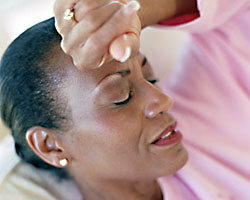 The most common symptoms of menopause are hot flashes and night sweats. It’s estimated that between 75 and 85 percent of women will experience them. Weight gain, specifically in the abdominal area, is also quite common. These are just two of the literal dozens of possible menopause symptoms. Others include digestion problems, headaches, dizziness, irregular heartbeat, loss of libido, mood swings, fatigue, forgetfulness, and bloating. Although women with mild symptoms may go through the change of life with only slight discomfort, those with severe, life-altering symptoms will often seek out treatments that can help them cope. For years, many doctors and women alike saw hormone replacement therapy, or HRT, as the best answer. For a time, combined hormone replacement therapy was hailed as a “fountain of youth”. When the U.S. National Institutes of Health launched the Women’s Health Initiative in 1991, that positive view of HRT changed. Those taking a combination of progesterone and estrogen for menopausal symptom relief were found to be at greater risk for heart disease, strokes, blood clots, and breast cancer. Dr. Kathleen Pritchard, M.D. and professor of medicine said that “To me, it’s fascinating that after all these years of using hormone replacement therapy with what would seem to have been some pretty good observational studies, we’ve had this big wakeup call.” Because many health experts (not to mention women themselves) currently hold the view that the risks of HRT outweigh the potential benefits, there is now a greater emphasis on natural alternatives. Luckily, women have plenty of choices when it comes to herbal menopausal remedies. 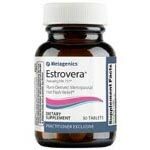 Phytoestrogens found in soybeans and herbs like dong quai can help address the reduced supply of estrogen in the body by mimicking the effects of the hormone, while other ingredients such as red clover and black cohosh have been found to significantly promote a natural approach to hormonal balance which helps in the reduction of menopausal symptoms such as hot flashes and night sweats. Natural remedies can often provide symptom relief for menopausal women so they can embrace their “change of life” instead of merely enduring it. Finding the right product can be a daunting prospect considering all the products available. A quality menopause relief product will contain clinically proven ingredients that will reduce hot flashes and night sweats, decrease menopausal weight gain, increase libido while promoting hormonal balance.